If you’re a Dungeons & Dragons fan, Baldur’s Gate: Enhanced Edition for iPhone and iPad is on sale for 75% off at $3.99 CAD. – Tales of the Sword Coast: Explore more of the Sword Coast, including the fabled Durlag’s Tower. – The Black Pits: Battle a myriad of monsters and other adventurers in Baeloth’s marvelous arena. – Brothers Lost: Help Rasaad yn Bashir, the Sun Soul Monk, as he scours the Cloud Peaks in search of his lost brother. 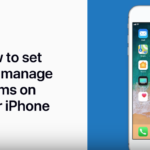 – Countless improvements to the original game, including an improved interface, dynamic zooming, and more. The game also has in-app purchases as well, to allow players to gain access to more content. Baldur’s Gate comes in as a 3.3GB download and requires iOS 8.0 or later. The game was created by developers in Edmonton, and last month celebrated the fifth year anniversary of its OS X release. 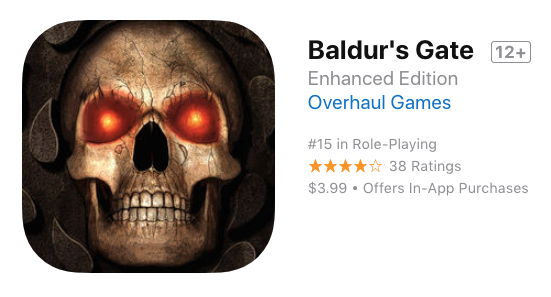 Click here to download Baldur’s Gate for iOS in the App Store (it’s also on sale in Google Play).